John Starks is scheduled to meet and greet fans and sign autographs and memorabilia at 3:00 p.m. August 4, 2016. An autograph ticket must be purchased for every signature you want. (Except free autograph guests.) Autograph tickets may be purchased in advance, or on-site at the TRISTAR Autograph Ticket Booth. Fees vary for each guest. 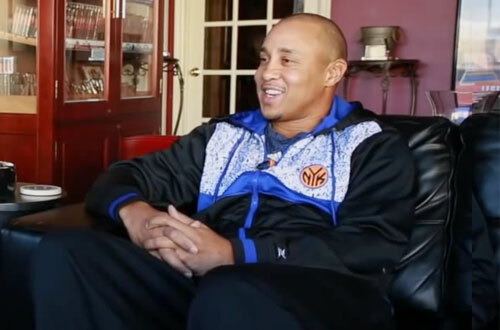 John Starks is a former NBA shooting guard who gained fame while playing for the New York Knicks in the 1990s. The teams he played for include the Golden State Warriors 1988–1989, Cedar Rapids Silver Bullets (CBA) 1989–1990, Memphis Rockers (WBL) 1990, New York Knicks 1990–1998, Golden State Warriors 1999–2000, Chicago Bulls 2000 and the Utah Jazz 2000–2002. He currently works for the Knicks as an alumnus and fan development official, and as a pre-and-post-game analyst on MSG Network’s home Knicks game coverage. Starks is also a popular motivational speaker.